Oh, blog post titles, you amuse me greatly. 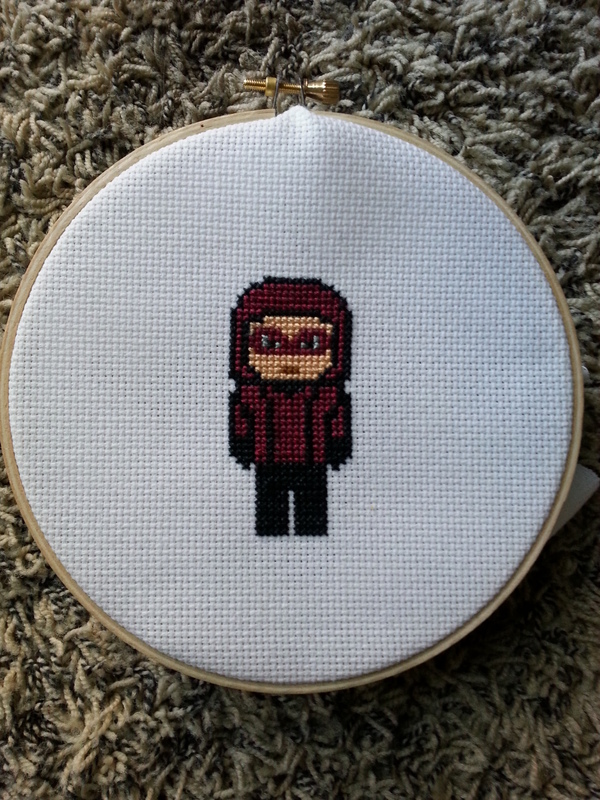 So, after Wednesday’s episode, I figured it was time for Roy to get his own cross-stitch sprite. And voila! The fastest turnaround ever (especially for me). 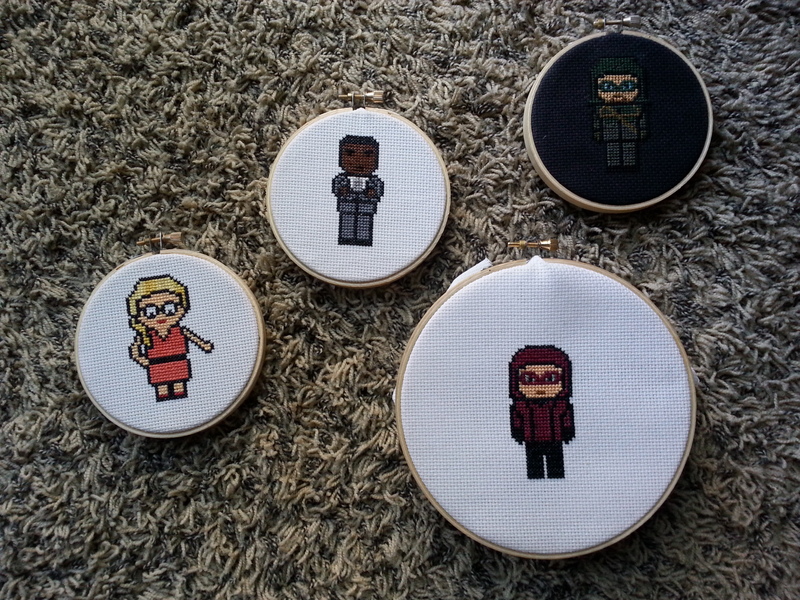 Doesn’t he look awesome with his fellow Team Arrow sprites? I combined two strands of 3685 and one of 150, but honestly, you really can’t see any kind of difference so, um, just stick with 3685 (or combine it with a more contrasting red color). 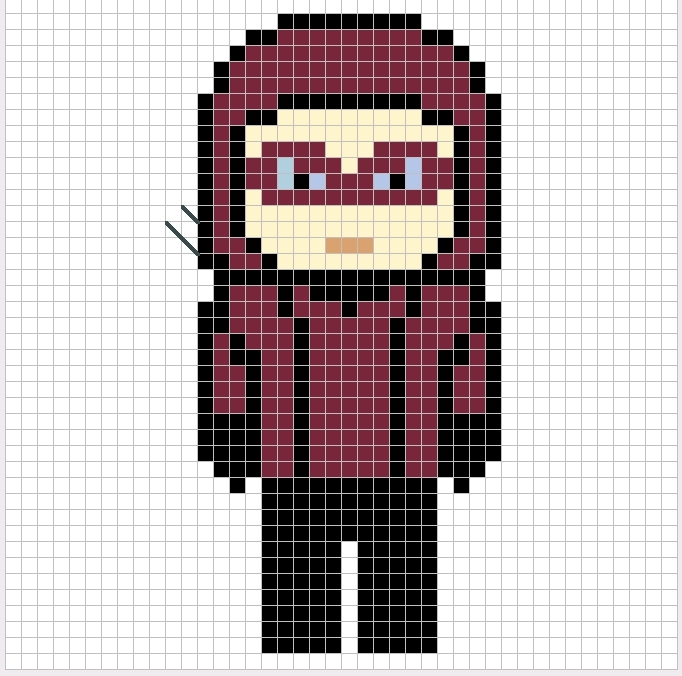 The chart is super easy (if you’ve done the Oliver one, you already know that).